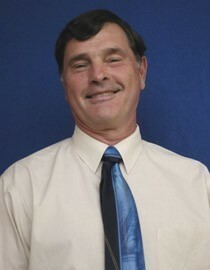 John Crawford is a member of the Fredonia Athletics Hall of Fame, a past head coach, and an assistant coach. He served in the latter capacity until the end of the 2013-14 season, at which time he stepped down yet maintained his involvement as a volunteer assistant. As a Blue Devil assistant, Crawford oversaw the highly successful Blue Devil diving contingent. Under his guidance, the Blue Devils had at least one diver earn an All-American certificate for nine straight years, including 2009 NCAA Division III champion Kelly Sponholz. In addition, Fredonia women won SUNYAC Female Diver of the Meet recognition for nine straight years. Combined with the men, Fredonia won 26 SUNYAC diving titles -- out of 44 total -- since the 2004 championship meet. Fredonia All-American divers under Crawford’s coaching were Sponholz, Scott Horsington, Christian Torres, Sarah Ficarro, Ryan Fuller, Ashley Keller, Arron Carlson, and Katelyn Haley. The run of Blue Devil SUNYAC champion divers began in 2003-2004 when freshman Horsington won conference titles in both the 1-meter and 3-meter springboard competitions. In 2005-06, Sponholz won SUNYAC titles off both boards as a freshman; she set the conference record in the 1-meter event at the SUNYAC championship meet. Sponholz went on to win all eight SUNYAC championship diving events she competed in during her four years at Fredonia. In March 2009, Crawford had the distinction of coaching the team's first-ever NCAA champion when Sponholz won the 3-meter springboard and set an NCAA D-III record with 516.50 points at the national meet in Minneapolis. She was the runner-up in the 1-meter board. A resident of Dunkirk, Crawford taught social studies for 34 years at Lake Shore Central School. He is presently a world geography instructor in the Department of History at Fredonia.